This issue featuring a look at The Mystery Of Cabin Island and The Mystery of the Spiral Bridge, as well as new collectible discoveries, letters and more! 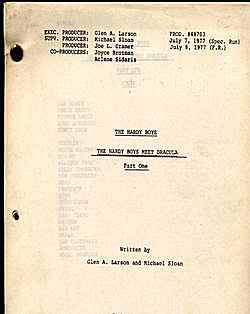 As many of you may have noticed, the Bayport Times and The Unofficial Hardy Boys Home Page have moved to a new URL: http://users.arczip.com/fwdixon. 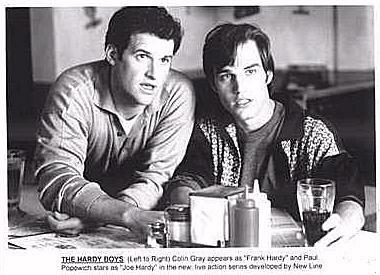 Of course, you can still find us at www.Hardy-Boys.net. This new web space is banner and pop-up ad free!!! Be sure to bookmark these new addresses. 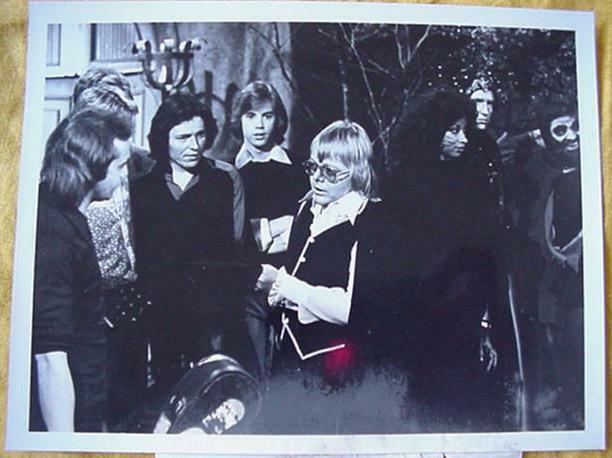 Nancy Drew was also featured in this 2 part episode. In the ongoing saga of youth sleuths Frank and Joe Hardy, we continue to get a glimpse of Franklin W. Dixon's personal metanarrative as it subtly plays out in his simplistic storytelling. For this particular essay, I was fortunate to get a copy of the original 1929 publishing of The Mystery of Cabin Island, which I was able to compare to the 1966 "blue spine" version with which most of us are familiar. In my cross examination of these two versions, I was immediately stunned by their differences. My initial assumption was that I would more or less be able to read the books side by side and carefully examine slight word changes or sentence restructuring. Even from my first encounter with the two novels, though, I came to the realization that the 1966 "blue spine" edition was vastly different from its predecessor, as new plot twists and characters were introduced. What became most apparent in my reading, however, was the evidence that mounted for the restructuring of Franklin W. Dixon's own personal ethic over the course of the 37 years that spanned the printing of the two books. Perhaps some initial background about the story up front would be of use. The Mystery of Cabin Island finds Frank and Joe Hardy with two of their friends--the portly Chet Morton and boxing enthusiast, Biff Hooper. Because of their help recovering the stolen automobile of Elroy Jefferson in book number six, The Shore Road Mystery, the Hardys have been given permission to have an outing on Cabin Island on Barmet Bay, which is owned by Mr. Jefferson. Before long, the boys run into a man named Mr. Hanleigh, who has a suspicious interest in the island on Cabin Island. The first thing that becomes apparent in Dixon's ethical re-formation from the 1929 version to the 1966 edition is that he significantly tones down the amount of gun play. The more archaic version of the story portrays Frank and Joe as a sixteen and fifteen year old, respectively (in the blue spine version they are seventeen and eighteen), who are more than comfortable using rifles. A scene partway through the book (which is completely omitted from the 1966 edition), shows Frank and Biff gleefully gunning down a pair of foxes that had been stealing chickens from Amos Grice, owner of a local general store. Perhaps the glorification of gun play would not be such a big deal--after all the boys are helping eliminate a pair of animals who have destroyed a man's property. However, Dixon does not draw a clear ethical boundary here. Later in the 1929 version of the book, the boys discover Hanleigh intruding within the cabin. The author doesn't think twice about having Frank threaten this man with a firearm: "We have rifles here. If you try to make a getaway, we won't be afraid to shoot" (Dixon, 1929, p. 148). The "blue spine" edition displays Franklin W. Dixon's rethinking of the subject. In contrast to the original, a gun is used only once in the novel, and that to be fired in the air as a warning signal. In the parallel scene to the one described above, it is Joe who discovers Hanleigh's invasion of the cabin. Dixon describes the man's outburst: "Hanleigh swung his fist. Joe ducked and butted the man in the chest" (Dixon, 1966, p. 136). There is a significant shift here, in that, unlike the 1929 edition where Frank and Joe show the first threat of aggression with their verbal remarks regarding their rifles, this newer version clearly has Hanleigh as the instigator of violence. It would not be too far-fecthed to say that it is no accident that Dixon's storyline changes in a way such as to include less youth-initiated violence, particularly through the use of firearms. In fact, this rewrite suggests a shift in Dixon's personal ethic regarding teens and their use of firearms. A second scene in which there is an ethical dilemma is found a bit later, when Hanleigh has sprained his ankel, and the boys have taken him into the cabin to allow him to rest. The man insists on using his coat as his pillow, and the boys become suspicious as to what Hanleigh might be hiding within his jacket. Hanleigh drifts off to sleep and the Hardys begin to scheme as to how they can essentially steal the coat fom Hanleigh without him knowing it. The quandry that is posed, of course, is that on one hand, the jacket might contain items that will help the Hardys solve the mystery. On the other hand, acquisition of the jacket involves a mixture of lying to Hanleigh and stealing from him--both of which many people would say are not ethical actions. With much hesitation, Frank lays out the issue like this: I don't like the idea of going through a man's private papers,...but in this case I think there is some excuse. Hanleigh is up to some crooked business here and it's out duty to find out what it is" (Dixon, 1929, p. 186). Dixon is essentially adopting an ethical pragmatism here, in which matters at hand supercede pre-established principals, a piece of morally slippery ground, to be sure. The 1966 edition again finds Dixon an ethically reformed man, however, as instead of having the Hardys steal the information they need from Hanleigh, they manage to use his distrust of their moral character against him. Hanleigh is afraid the boys will leave him on the island with his sprained ankel, despite their insistence to the contrary. Frank makes use of Hanleigh's fear as a bargaining chip: "You tell us your whole story, and I promise you'll be rescued" (Dixon, 1966, p. 165). At this point, Hanleigh caves, and willingly gives the Hardy boys the information that they had to trod on ethically unsound territory to obtain in the earlier version of the text, again showing Franklin W. Dixon's shift toward a new ethic. Like the scene just mentioned from the "blue spine" 1966 edition of The Mystery of Cabin Island, the 1929 version also shows the Hardys bargaining with Hanleigh to get information out of him. In contrast to the above, though, their bargaining chip borders on the illegal and is clearly informed by Dixon's own tendency toward an ethical pragmatism. Again, Frank is reasoning with Hanleigh for the purpose of getting him to give up information vital to the solving of the mystery: "Tell us what you know about this affair, and we'll let the whole business drop, as far as you are concerned...If you don't tell us, we'll simply let the police take action--and you'll know what that will mean" (Dixon, 1929, p. 202). Upon initial examination of this reasoning, it seems quite solid. Basically, Frank is using the threat of turning this man into the police to try and get information from him. What happens, however, is that Hanleigh does comply and give up the requested information, and the Hardy boys, being forced to keep their promise, have made an agreement to withhold knowledge of criminal activity from the law. Dixon manages to avoid this ethical dilemma in his 1966 retelling by merely having the police show up at the island at this same moment in the story, and having Hanleigh get arrested on the spot, again showing Dixon's apparent purposeful re-working of his story to scoot around his pragmatically-informed ethical choices of 37 years before. The real question remains, why would Dixon have deemed it necessary to re-form his ethical stance in his Hardy Boys literature. One can only really make educated guesses at this, but some possible reasons might be recognition of shifting cultural trends and values, Dixon's continuing discovery of his impact on formation of values in his teenage readers, or his own internal working-out of a new personal ethical structure. It would sure be an interesting study to compare these ethical shifts to existing metanarratives in the late 20's and mid-60's and look for parallels within Dixon's work. It would come as no big surprise if a further examination of early Dixonian texts with their subsequent re-writes might turn up more concrete evidence of an ethical re-formation, but those are topics beyond the scope of this essay. What is of critical importance here is to note this ethical shift takes place at all, so that upon continuing study of Hardy Boys novels, one may be fully aware of Franklin W. Dixon's struggle for personal betterment and how it profoundly informs his literary choices. Brian Porick works in Media Resources as audio engineer at Wheaton College,Wheaton, IL. Recording literature scholars presenting their papers inspired him to write similar essays--for the Hardy Boys Literary Society. You can buy The Mystery Of Cabin Island from Amazon.com. This review/summary is the follow up to "The Haunted Fort" in a one-two punch. I have generally read both of these two books back to back when a re-read is deemed necessary. By the same token, since I am reading these books out of sequence as it were, I have lost some of the perspective I would have gained, had I re-read several more of the Hardy Boys books from the early and mid sixties. For example, right off the bat, Frank and Joe are playing checkers and then utilizing a short-wave set in their laboratory, set over the garage. I remember when that garage was a barn renovated into a gymnasium, but can't pinpoint when that change occurred. In my mind, I still favor the rural dominated America that was a major part of the earlier Hardy Boys canon. Yet, if change must occur (and I'm not saying it must), then "Spiral Bridge" handles that adjustment very well. As "Spiral Bridge" is number 45 in the Hardy Boys Series, the only previously mentioned cases are their first, ("Tower Treasure") and the one most recent ("Haunted Fort"). I did like how formerly there were numerous mentions of prior cases, before the length of the series made that practice, well, impracticable. To continue, it now seems that Fenton Hardy has an "able assistant" in Sam Radley and a "private pilot as well as close friend" in Jack Wayne. I'm sure, Hardy Boys enthusiasts more in the know than I, can pinpoint exactly when these two characters began their semi-regular appearances in the series. Personally, I think this pair a welcome addition to the cast. Dr. Bates, the "family physician," doesn't ring to familiar to my ears and I honestly don't know if he has appeared prior to or after "Spiral Bridge." Chief Ezra Collig is now an "old friend of the Hardy's" and not the jealous and resentful man he used to be. Plus, no Detective Oscar Smuff! I do miss that buffoon. Some additional facts I garnered concerning Sam, are that he is married to Ethel and they live near the center of Bayport, a half a mile from the Hardys, who now live at the corner of Elm and High Streets. I say "now" because I believe originally the Hardy address was on just one of those two streets. The fact that their house was so close to Bayport's center, surprised me as I had thought it a bit further out and away from the seedy docks area. I do wonder at this point (early in the book) if the Mortons still live on a farm on the outskirts of Bayport. Well, at least Iola is still alive! Aunt Gertrude, in a welcome respite, is actually acting in a fairly rational manner. But this may be due to the serious injuries (pneumonia and amnesia) suffered by her brother Fenton. Normally she carps about dangers that usually don't exist but did settle right down when presented with the reality of an honest to goodness crisis. Yet the boys can't resist the good natured wink they seem to reserve for both their Aunt and Chet Morton. Is Laura Hardy psychic? I as this because early on in the story she had "a strong feeling that this case would prove unusually dangerous when Fenton agreed to accept it." I wonder at this, because on the face of it, this case appears no more dangerous than many of Fenton's previous ones. Yet it appears that Laura's hunch was indeed correct. Her husband was down in Boonton, Kentucky, investigating sabotage on a Prito Construction Company bridge project, deep in the wilds of that state's hilly interior. He disappeared for weeks until finally stumbling out of the wilderness, seemingly more dead than alive. Sam contacted Jack and together they transported Fenton back to Bayport for treatment. It was as they approached the home town airport that the checkers game in the Hardy garage had been interrupted by the short-wave transmission from Sam, announcing the imminent arrival of the three, from Kentucky. It quickly becomes evident that one Milo Matlock is the person most likely responsible and both Joe and Frank take this attack on their father very personally, adding a touch to the story I appreciated: vengeance! As the Hardys prepare to extract that vengeance, thereby solving their father's case, they receive the obligatory warning from Laura to "exercise the utmost caution." Naturally, the obligatory promise to do so is given. The first steps towards solving this case involve installing a tape recorder by Fenton's bedside, as he had been mumbling constantly upon his less than triumphant return to Bayport and to study the deposits found by Sam in the cuff of their father's trousers. This research is ably illustrated on page 9 by Rudy Nappi (assuming he did the interiors as well as the cover) and the result: limestone. The boys theorize that based on this fact and the pneumonia suffered by Fenton, that he had been held prisoner in a wet cave-type environment and cruelly mistreated. But before Frank and Joe can act on these initial findings, two events of violence occur, showing the ruthlessness of the foe that now faced. The arrival of Chet is the signal that other chums are due to arrive, plot-wise and sure enough, Tony Prito, Biff Hooper and Phil Cohen do so and agree to stand guard at both the hospital and the Radley residence. Is it my imagination or has Phil Cohen taken over from Jerry Gilroy as one of the tertiary chums and further, I wonder if both have appeared in the same book? Frank and Joe follow the slim clues, provided thus far and the trail points to New York City where Detective Mulvey bursts in on them due to an anonymous tip of dangerous criminals in their hotel room. This seemed a bit bizarre and the Hardy's were briefly held at gunpoint. This beyond bizarre and downright dangerous. The detective knew nothing more than they might be dangerous criminals. Amazing what a dropped dime can do! After the mistake is rectified, Joe and Frank follow up their clues in the city. A visit to a graveyard on Long Island indicates that Milo Matlock is dead and is numbered among the most humorous scenes in the book. The illustration on pages 44 and 45 reflect the impulsiveness of Joe, as he jumps into Manhattan traffic upon spotting the monkey man and almost dies because of this act. Joe of course is sheepish over the incident, but the situation dovetails nicely as the taxi that almost hits Joe, transports the Hardy's to Long Island, for their debacle (however humorous) there. By this point, the two brothers begin to think that their investigation is jinxed, almost as if the enemy knew their every move and were able to thwart them at every turn. But of course! It couldn't be the fault of the Hardy Boys and a deficiency in their skills. Somehow their foes had gained an unfair advantage! And so it is. What Aunt Gertrude thinks is a speck of dirt on the ceiling of Fenton's study, turns out to be a bug, planted by the monkey man. This knowledge is soon put to good use by the teenage sleuths. But in the meantime, the first of two written warnings is received (pages 51 and 76) and the word "spiral" is first used in conjunction with it. The warnings are actually signed with an odd-looking M with three spiral loops. I must say that the signing of a written warning is either the sign of complete confidence or a a case of too much. This remains to be seen which is actually the case. The term "helix" was the actual word Fenton Hardy had been mumbling in his delirium. It referred to the secret symbol (a three dimensional curve or spiral) used by gang members. This term is later used in conjunction with the actual spiral bridge, referred to in the title. It may in fact be the formation seen by the Hardy's as they continued to explore the adjacent trails in search of answers (page 143). I was relieved to see that farms are not totally out of date in 1966. Chet and the Morton's still reside on one. While the outskirts of Bayport are not specified, the surrounding area is described (page 59) as "rolling countryside." That is comforting to me as were the cameo appearances of Iola, Callie, Mrs. Morton plus Mr. and Mrs. Prito. In addition, it is revealed that the Prito's live on the north side of town and own a dog named Axel. As usual, Callie and Iola must take a "raincheck" on a proposed dance. But of course, they understand. The reason is that Frank and Joe, along with Chet, Biff, Tony and Phil will soon be heading for the Prito bridge construction site in the wilds of Kentucky. They have arranged with Tony's father to take positions among the crew there and work undercover, in hopes of learning the mystery behind the sabotage and Fenton Hardy's cruel captivity. In perhaps a segue into the next Hardy Boys mystery, Tony Prito interjects that they could be thought of as "secret agents" (page 72). Naahh! That's probably just my over active imagination. We finally see the monkey man (so-called due to his smallness and extreme agility) on page 83 and are thereby given a decent view of part of the Hardy residence. After his capture, we find from Chief Collig that the ex-cons name is Monk Smith. But of course! Chet's hobby in this book is shot putting (pages 60 and 61) and I can hazard a guess as to how that comes into play, but I'll wait and see how this aspect of the mystery plays out. On pages 114 & 115 I see the first use of this new found skill and it is to distract the workers so Frank and Joe could sleuth undetected. Later, in a more terrifying manner, Chet heaves a bomb downstream, and saves the bridge from a third destruction. Ironically, the chubby youth is then blamed for placing the bomb to begin with! Finally, by page 84, the chums begin arriving at the construction site, outside of Boonton, Kentucky and assume their new identities with the work crew. Among the interesting characters they meet are: Bond Deemer the hiring agent, Robert Angan the foreman and Willy Teeple a hillbilly youth of few words. I must admit that I have a penchant for juvenile series heroes working under cover. I found that the Rick Brant "Sea Gold" and Ken Holt "Shattered Glass" are among my personal favorites. Go figure ... But "Spiral Bridge" is a welcome addition to this group and it is at this point that I truly begin to enjoy this book! But before continuing further, I'd like to comment on some racist aspects in "The Mystery of the Spiral Bridge. " On pages 87 and 88, Joe (Jensen) is called a dumb Swede and Tony (Gonzalez) is told he'll be "heading back south of the border" if he didn't repair a tractor fast enough. Robert Angan was responsible for both remarks and no one seemed particularly bothered by them. While I am personally familiar with both terms, I found them surprising, especially as they were written in 1966 and not 1936. The use of con jargon seems a bit overplayed, as Frank and Joe try to fit in with the crooked crew members. However, I'll never get sick of a couple of plot devices utilized throughout the Hardy Boys Series: eavesdropping and exploring woodland trails! These the Hardy's do aplenty in and about the bridge construction site. The tension of wondering if they'll be discovered while listening in on the saboteurs and waiting with bated breath to see what lies around the next bend of that trail through the forest, is what keeps me ready for more of the same. One thing that was around the bend was a cave, complete with ravenous bear (page 104), as shown on the frontispiece. That curious glow near the spiral bridge is first seen from this trail on page 106 and is appropriately known as Rosie, by both the saboteurs who created the effect and by the local hillbillies that are scared away from the vicinity because of it. I do find it hard to believe that even in Appalachia (where I presume Boonton is situated), that such superstitious rot can be believed. But the use of such lore is a still recurring plot devise used even in the sixties. Witness the Amish near Black Hollow in "The Clue of the Screeching Owl." The illustration on page 111 is nicely drawn and encompasses Frank and saboteur Yancy on their overturning vehicle plus a nice backdrop of huge pine trees. The deep forest atmosphere is effectively captured. On page 115 a simple phrase captured my fancy and it was: "... and laughter drifted among the tall pines." Very nicely done! Another scene that captivated me was one where the Hardy's and Chet stumble across "... a shaded glen. Alongside it was a waterfall, which dropped into a foaming arch some ten feet into a deep, gurgling stream (page 157). Naturally I was quite delighted when the three youths are soon pursued by gang members and seek refuge behind its sheilding waters and to make sure, submerge themselves in the pool at its base. An old trick, that, but again, one I'll never tire of! As is usually the case, the Hardy's are found out (by those darn sweaters that Aunt Gertrude insisted they take with them to Kentucky), knocked out and saved by their friends. Even Chet steps up to the plate when all the dust (or water as was the case here) settled. Willy Teeple's coerced role as gang lookout is soon uncovered as well as why, when Willy's dad happens along one of those woodland paths. It is then decided that the secret of Rosie must be discovered and as the boys pepare to do just that, their third written warning is received, as shown on page 147. Tony gets knocked out for his instictive effort to find the deliverer of this threat. This leaves Frank andJoe on their own, as it really should be and the brothers make their way back to the recently discovered spiral bridge. This brings us to the Rudy Nappi cover art, which I believe is a combination of scenes taken from pages 158 and 165. While there is no doubt that Frank and Joe are gazing at the spiral bridge and that there is light eminating from the access hole on the underside of the arch itself (page 165), there are two reasons for me linking this cover art to page 158. One is that the light described as coming from the bridge is as follows: "Chet exclaims, "There's a light coming from the hole!" No further descrition but I would assume yellow to be the colour. Yet a few pages back, when the trio were investigating the source of "Rosie," they discovered it was created by natural gas, released as needed, from a hole atop a small knoll. Its colour is desribed as "... the pink light mushroomed into the sky." The light portrayed on the cover is mainly pink, though there is yellow coming directly from the hole in the bridge. The pinkish diffusion is evident beyond that immediate source, under the arch, over the stream and tinges of it make it up into the night sky. Lastly, "the figures of several men, their forms silhoutted against the glow" are seen by "Rosie" but not at the spiral bridge. Yet one silhoutted figure is evident on the cover. I think that Nappi has delivered a great one-two punch, cover art-wise, as regards "Haunted Fort" and "Spiral Bridge." Both are pretty dark and present the Hardy Boys observing from the woods, an indistinct figure framed over water (lake and stream). Rudy evidently read these books (and others in the series), before drawing the covers. Joe and Chet finally make their way into the spiral bridge which is really the ingenious hideout of the gang, but are shortly captured. Not before they discover that the passageway inside is also shaped like a spiral. Yet another usage of that term! Chet and Joe are brought before the Baron, the leader of the gang and Joe (as well as I) was shocked to see that it was none other than Mortimer Prince, the vagabond he and Frank had sought information from, in New York City. His real name is Gerald Thurston and Fenton Hardy had sent him up the river twice before and he craved revenge. Well, what Fenton failed to do, his sons accomplished, sending this cruel criminal to jail for a third and likely final time! For Frank had snuck into the gangs lair and freed his brother and Chet. Shortly after climbing out of the bridge they are amazed to find that they need run no further. For Tony had roused the good guys of Boonton and the construction site for a final showdown. Willy Teeple, Robert Angan, local and state police had closed in for the kill and soon it was all over. Tear gas brings out Thurston who begs for mercy. Mercy. Mercy! After he taunted Frank and Joe for how he mistreated their father and after promising them a death by drowning. And he asks for mercy ... It turns out, as a now fully recovered Fenton Hardy relates, that Thurston had utilized the newly discovered natural gas to frighten away the superstitious local hillbillies and had sabotaged Mr. Prito's bridge because it was too close to his spiral bridge hideout. The fact that Fenton had taken the case was a pure coincidence that allowed Thurston to seek his revenge on the detective. The spiral bridge is now "a main tourist attraction" within a proposed park, now that Prito Construction had opened up this section of the Kentucky wilderness with his road and bridge. An appropriate ending. In closing, I found the first 84 pages to be rather average, but for the serious state Fenton is left in. 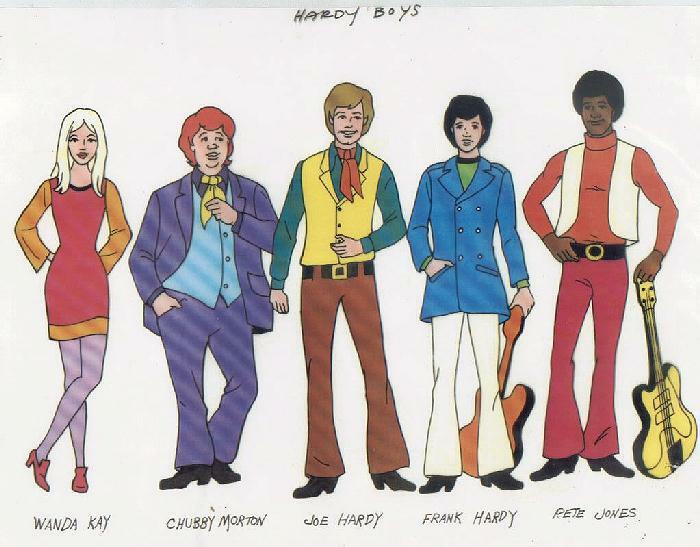 But the last 90 or so were vintage Hardy Boys. Author Andrew Svenson has written an extremely exciting book that combined nicely the sleuthing skills of the Hardy Boys and chums, with the rugged beauty of the Kentucky wilderness. I note (from Bob Finan's "Original Series List) that Svenson struck yet again, with "Vampire Trail" a few books in the future. I was kept guessing on who the bad guys were and especially the Baron. This story had the feel of an older Hardy Boys book and for that I was truly pleased. On the Ghosts scale of 1 to 10, I give "The Mystery of the Spiral Bridge" a solid 8.5. 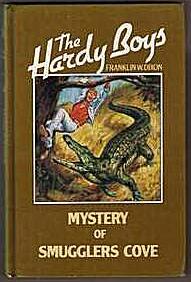 I have been a Hardy Boys fan for 50 years! I received my first Hardy Boys book, The Great Airport Mystery, at Christmas of 1951. I got hooked and eventually bought what was all of them for a few years. But I noticed discrepancies in them after acquiring a few of them. First, the 1930 version of The Great Airport Mystery has the boys and their chums graduating from High School. Then in the 1936 version of The Sinister Sign Post Frank is a senior again. Later books retain the boys in high school. In The Secret Warning some of the contents of the chapter headings do not seem to match the heading. There may be other books with the same problem. In the 1939 version of The Twisted Claw, the chapter in which Frank climbs to the top story of the cabin in which he and Joe have rescued his father, he notices the forest fire, but the words are, "Dad, Frank, the forest is on fire!" It seems to me it should have read "Dad, Joe, the forest is on fire!" I discovered the Hardys when I was nine in 1961. My best friend Tommy Jones was also reading them. At first we shared and recommended certain volumes. Then we fell into a competition as to who could read the complete set. The West Palm Beach library frowned on the Hardy boys series and refused to carry any of the books. So I looked forward to trips to the nearby Lake Worth Library which had about 20 of the series. Then, just like an unexpected Hardy mystery happenstance, my parents had friends who mentioned their now 17 & 18 year old sons had outgrown the books and I was welcome to borrow them. My parents only went to see these people once every 3-4 months, but I told them I really needed to return the books and soon learned to borrow 5-6 a visit. Curled up in a chair or bed, I would turn pages for hours. Around 12, my interest faded about four or five volumes short of completion. Last year, age 48, I started finally unpacking books divided several years ago when we settled my mother's estate. 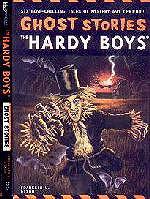 There were six Hardy Boy books - the good, brown covered original variety. I cracked open "The Great Airport Mystery" to read to my 8 & 10 year old sons. I had begun reading them stories at night to wean them from their computer habits and develop a love of reading. The old Hardy magic had not diminished with time. After 3 chapters, they begged me to continue reading. Suddenly, there was a new enthusiasm for our nightly reading sessions - even an occasional call to work to make sure we were still on for the night. Our routine is usually 3-4 nights a week as family activities allow us time. We only read if they have done all their chores and school work. Two chapters is the standard; three if they have had an exceptional day; one if it is just too late. We have been known to go five at a sitting when Franklin W. Dixon really has his hooks in us with a streak of cliffhanger chapters endings. Yes, they love the plots. They try to figure out the clues (Even if by page 2 you know it is about counterfeiting and the title is "The Secret Of The Old Mill" ). "The Disappearing Floor" offered them the appeal of a 1950s sci-fi flick. They love Chet Morton and the chapters where Dixon sets aside the usual rapid plot advancement for an episode of comic relief devoted to a prank. As repeated here in the Times often, they ,too, are developing a love of reading from the Hardy Boys. I've discovered our little Minnesota farm town library has a complete set of the first 56 - and that 14 of those are the original, non-revised versions that don't duplicate mine. So, I'm hoping the soon - to - be 12 year old will continue our sessions for another dozen volumes and that the 9 year old will not let his brother's loss of interest keep the two of us from plowing ahead. This has been a wonderful experience on many levels which in turn leads me to share these three thoughts..
*Mentor a young boy by introducing him to the Hardys. A son. A grandson. A neighbor. Volunteer to read a few chapters at your local library during their next scheduled read-aloud session. You get so much more out of the books when you get to experience thru a young reader hearing it for the first time. Ditto for daughters and Nancy Drew. *Support Applewood. The small collections of a half dozen older volumes that are often rediscovered and revive interest in The Hardys are rapidly disappearing from attics. These new volumes are of made of enduring quality - better than the originals. Think of the high price as an investment divided among the generations who will discover these volumes in the future. I met the Applewood people a few years at an American Book Sellers Association convention . They impressed me as lovers of books first and capitalists second. 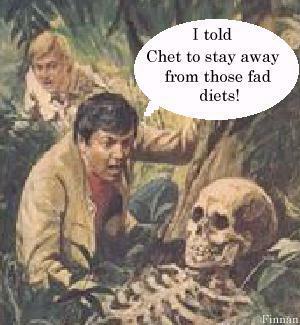 * I am seriously considering pursuing the Hardy Boys as a radio series or audio books. If one of you reading this wants to steal that idea and run with it - expect no lawsuits. I just want to see it done. Reading these stories aloud (I do all the dialogue as different voices) makes me realize that the chapter length, rapid plot advancement, minimal characters, ect. are all perfect for audio form.